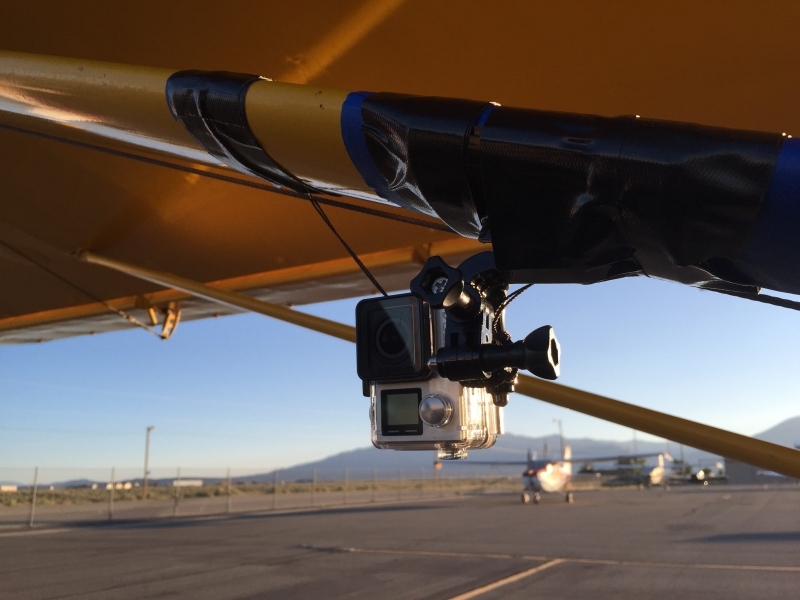 September 21, 2015 – A new moving landscape video installation was presented as part of NeoRio Confluence of Art and Environment, an annual outdoor contemporary art and community building event, on September 12, 2015. 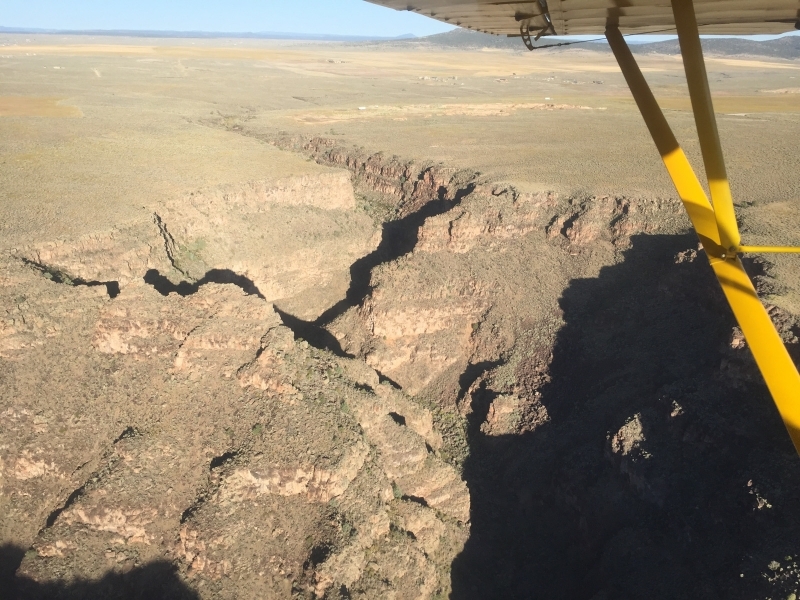 On the edge of the Rio Grande Gorge near Taos, New Mexico, the piece is a journey by air over the stunning and unique rift valley of the gorge from Taos to Alamosa, Colorado. 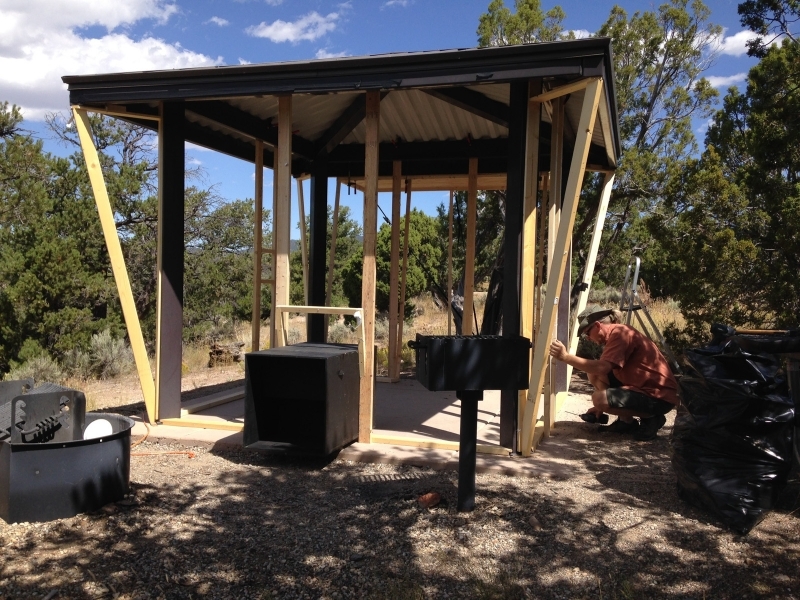 It traces the river course from deep in the geology of the Taos Mesa to the agricultural plains of the San Luis Valley. 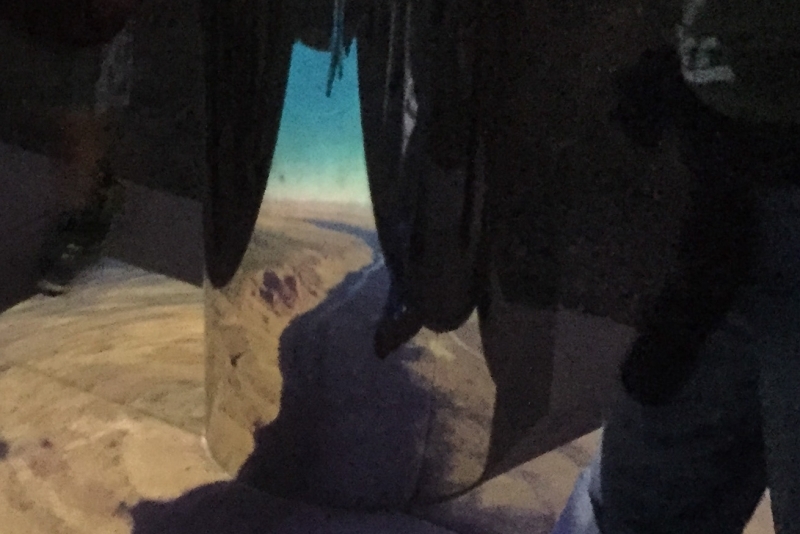 The journey is transposed through the anamorphic video into an abstract moving puzzle of texture and light with subtle colors and barely recognizable elements that coalesce into the dream of flight when viewed in the mirror. 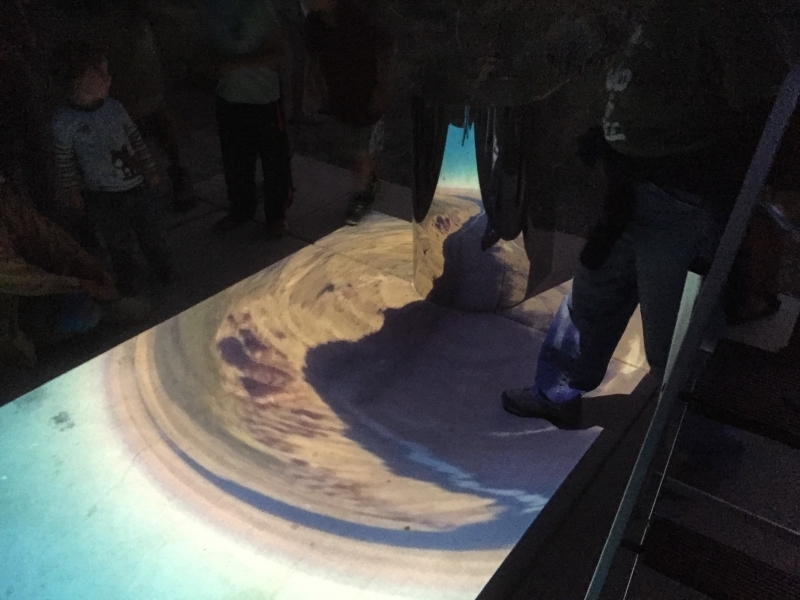 The NeoRio event also included a pop-up camera obscura Shadow Shelter with live, natural views of the gorge and the Snagre de Cristo mountains to the east. 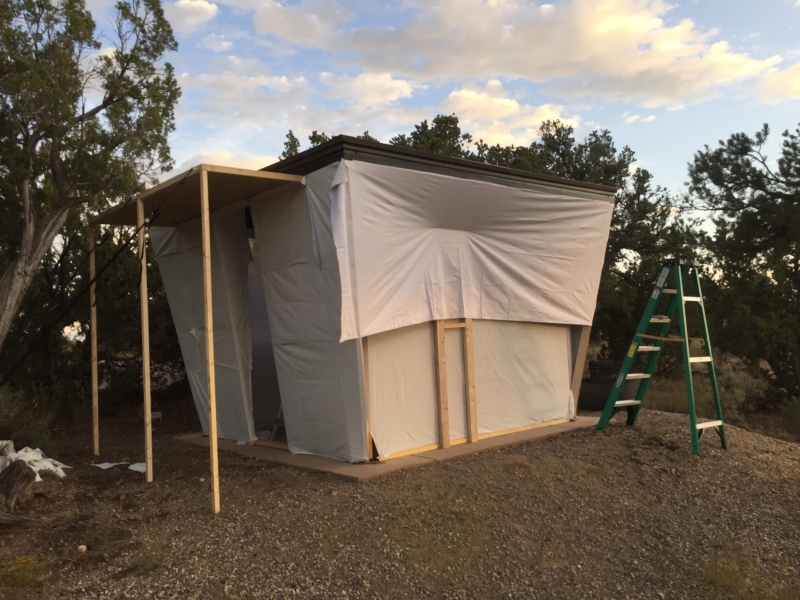 A BLM camp shelter with a specially constructed wood and fabric skin became a viewing chamber with 6 inch lenses projecting the view during daylight hours. 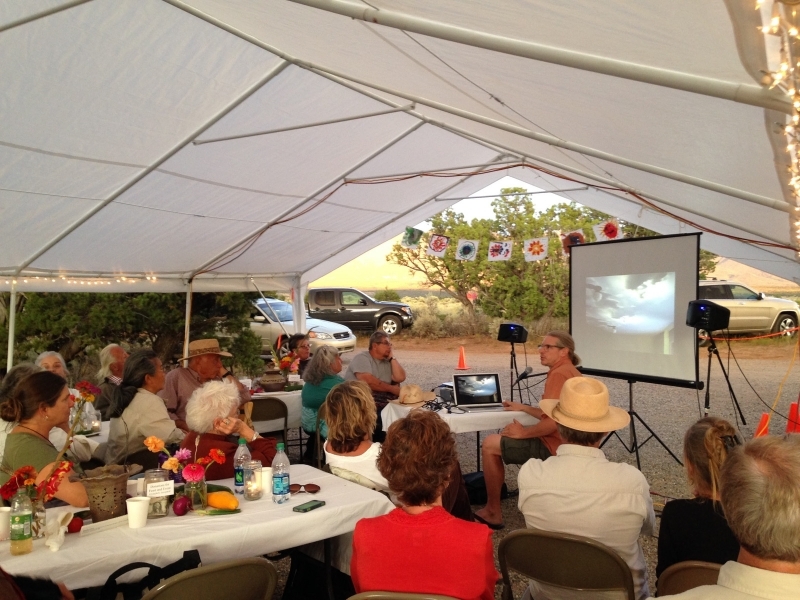 At sunset around 100 visitors enjoyed a local feast and Ethan presented an artist’s talk. 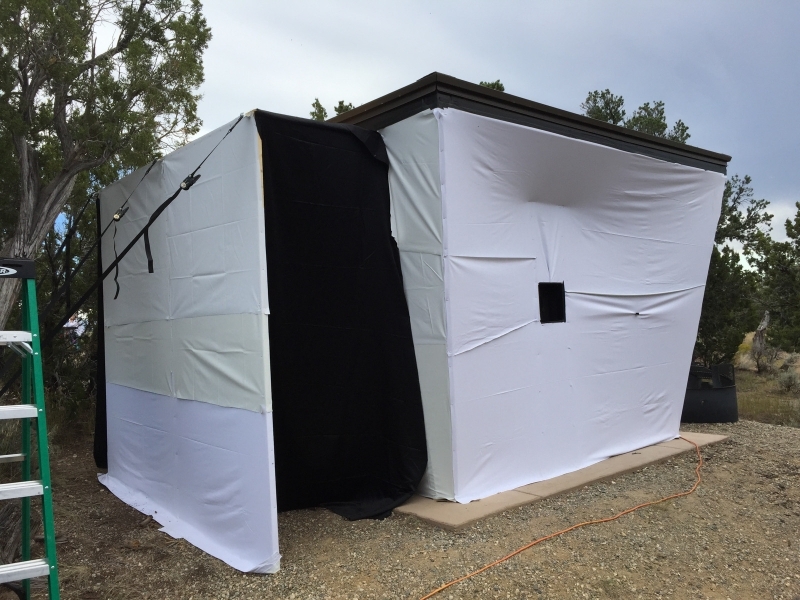 As dusk settled, the nighttime projection of Rift/Shake took over until our solar powered batteries gave out late in the night. Many thanks to Claire Coté, NeoRio and LEAP for organizing this event. Other ongoing projects include a public art commission for the City of Denver’s new West Denver Public Library. 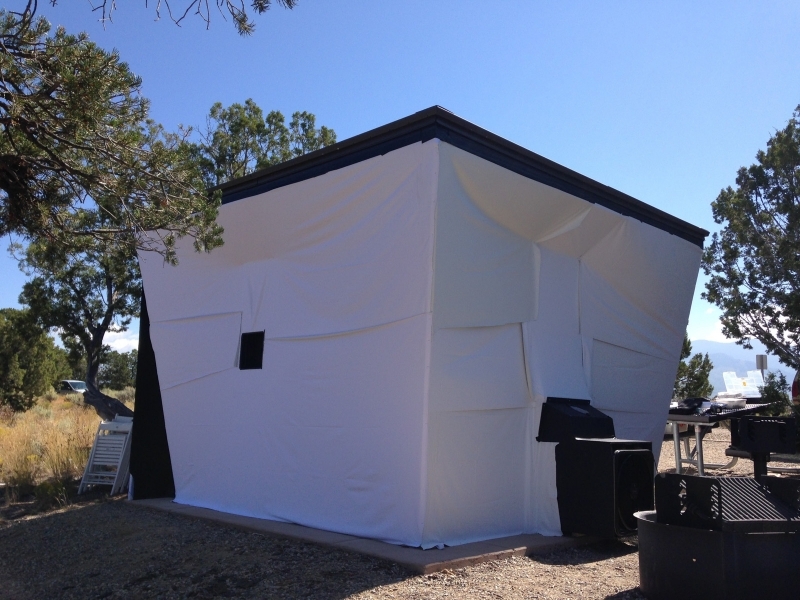 Ethan is working on a permanent large scale camera obscura quarter-dome high in the ‘Storytime Tower’ feature, a prominent part of the Children’s area. Due for completion this year, the project will involve the most advanced custom optics Ethan has yet designed, and a unique curved ceiling system designed to make the most of the available daylight. Imagery of the sky, horizon, and neighboring buildings to the west and south will blend across a planetarium-like domed ceiling during all daylight hours. 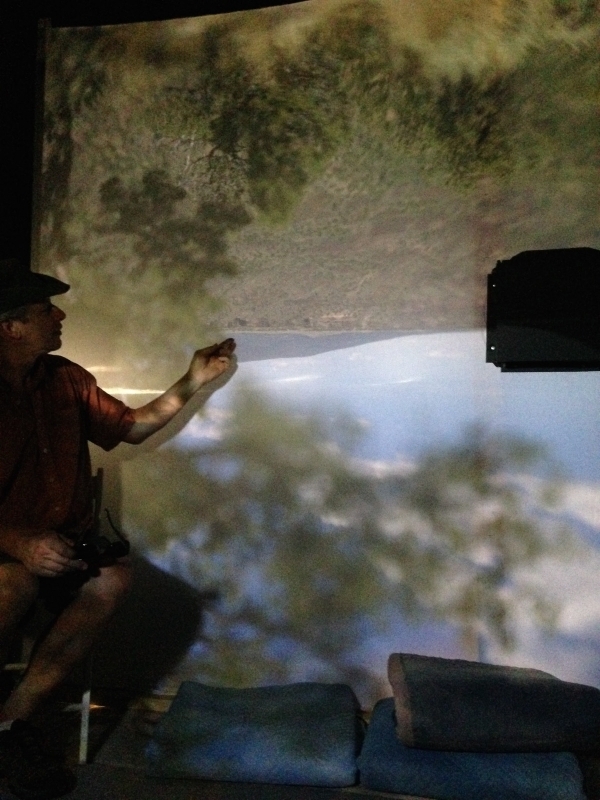 On the horizon is a residency at the Virginia Center for the Creative Arts next year.